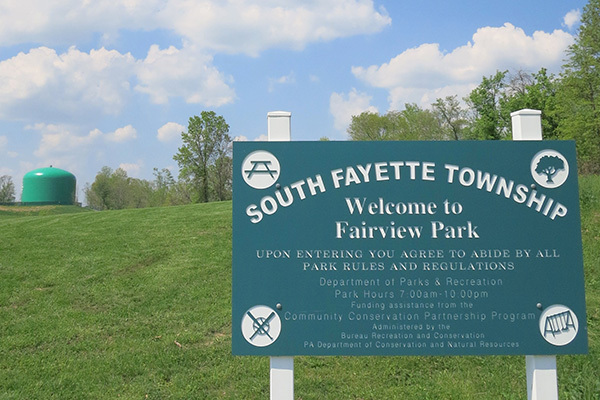 The South Fayette Conservation Group works to ensure the conservation, protection and enhancement of our natural and recreational resources in South Fayette Township, a municipality located in Allegheny County, Pennsylvania. In addition, we create educational activities for local youth and adults to teach and promote conservation and to instill a respect for natural resources. 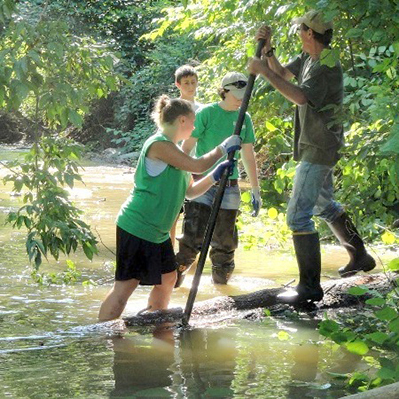 As part of our partnership with the South Fayette High School's Innovation Lab, students, faculty and SFCG volunteers will be working on signage, trail remediation and video/drone documentation of the wetland area on April 28. Community volunteers are invited to join the SFCG and High Schoolers at 10:00am at the wetland behind the SF Intermediate School to assist with the day's projects. We will be building box steps, laying down gravel and improving walkways among other projects. 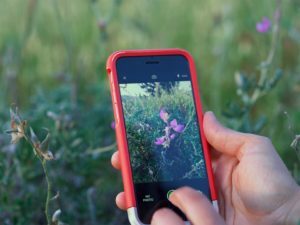 In addition, volunteers are encouraged to participate in the 2018 Pittsburgh City Nature Challenge, where volunteers can use the iNaturalist app to document the flora and fauna species present in the area. 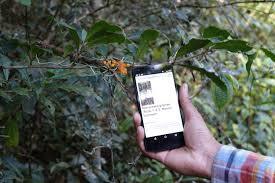 The iNaturalist app allows users to photograph species and assists with identification of those species. Help us show the world how biodiverse our wetland is by making as many observations with the app of as many species as possible April 27-30! Over 60 cities on six continents are asking residents of and visitors to explore nature all around them and document the species they find. Results will be announced by iNaturalist on Monday, May 7, so be sure to upload your observations before then! With funding from Pennsylvania American Water's Environmental Grant Program, the South Fayette Conservation Group was able to purchase a state-of-the-art Envision groundwater simulator which we have implemented as part of our group's ongoing outreach efforts to assist our community in understanding the role that human activity plays in health and well-being of our local natural environment. See the press release from South Fayette Connect here. 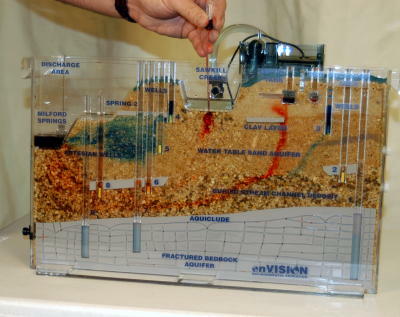 The Envision Groundwater Flow Bedrock Simulator model beautifully demonstrates the dynamics of groundwater in a world of human activity, and serves as a key tool in providing participants with an in-depth understanding of how water moves in a system, how groundwater may interact with the sites of various human activities such as past and present resource extraction, waste storage activities, and the geologic formations in which these resources are found. 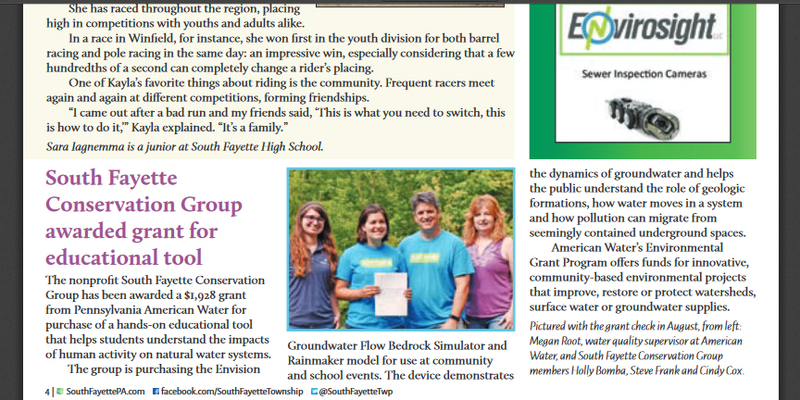 Our Board has partnered with the South Fayette School District to produce a video featuring the groundwater simulator and our Group's activities for a high school senior project. This model will also be used during our group's ongoing extracurricular and educational programs as well as during community days and events. We like the model because it illustrates how pollution in seemingly contained places underground can migrate, and that various geological features are factors in this potential migration. The simulator shows the difference between point and non-point source pollution, as well as demonstrates impacts resulting from the failure of various features employed by people to extract or store resources and wastes underground. 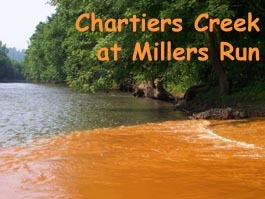 The state may fund a treatment plant that would remove 690 pounds of iron pollution per day from Millers Run Creek in South Fayette. 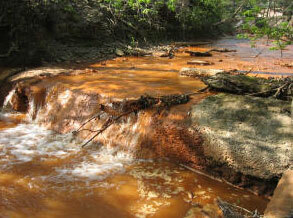 The iron in Millers Run, a tributary of Chartiers Creek, comes from an abandoned coal mine in the Gladden area of South Fayette, which, according to the township, is the largest source of iron discharge in the 139-square-mile Chartiers Creek Lower Watershed. In a July letter to the state Department of Environmental Protection’s Bureau of Abandon Mine Reclamation, the township said it is committed to work with the South Fayette Conservation Group to support ongoing maintenance costs of a treatment facility. The support could include providing in-kind labor, contributing to a trust fund and/​or helping to find third-party resources. In the letter, South Fayette manager Ryan Eggleston said the township lacks the resources to pay for the Gladden Discharge Treatment Project and added that the cleanup would enhance health and safety and bolster community and economic development. 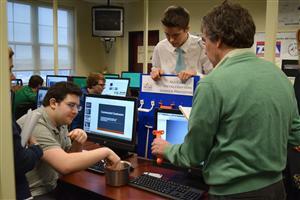 The South Fayette Conservation Group (SFCG) and the South Fayette High School (SFHS) Innovation Studio have established a renewed collaborative partnership to encourage conservation leadership. Thanks to a grant from the Allegheny County Conservation District as part of their Conservation Leadership & Innovation Program, SFCG will team with the SFHS students, teachers, local scouts, and Tetra Tech to create educational opportunities for the students and to bring improved awareness to the community regarding the location and value of the South Fayette Conservation Group's wetlands located behind the South Fayette High School. Project activities will be coordinated with teachers and students and will provide multiple volunteer opportunities for the community. Better access and higher awareness of the presence of the wetlands and trails will encourage continued development and involvement in similar watershed improvement projects. In 2003, the SFCG participated in the South Fayette Elementary School’s new summer program, “Little Lions’ Academy.” Educators were invited to offer weeklong half-day instruction on various subjects, and the SFCG focused on developing a “Wetland Science” program utilizing an area at the school district that was a jurisdictional wetland. Seeing the success of this program, the SFCG approached the South Fayette School District (SFSD) to partner in expanding our education for the student population about the environmental issues of our area and what can be done to help ensure conservation efforts continue within our community for generations to come. 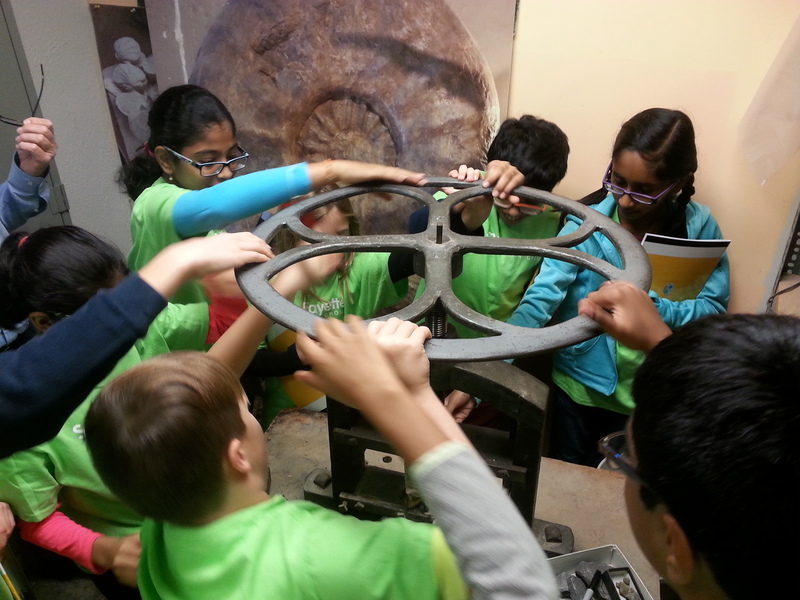 We co-developed programming that reflected our projects and our mission, integrated them with the state standards taught in the classroom, and enriches the classroom experience with onsite field investigation, as well as provides STEM education opportunities. 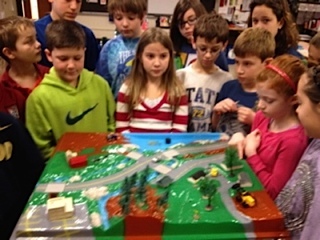 Each year, our group brings our Environscape watershed model to the SF 4th grade to demonstrate the workings of a watershed. We have also followed up with a field trip to the SFSD wetlands where professional environmental educators proctored a unique educational experience which included macroinvertebrate investigations and water quality testing. 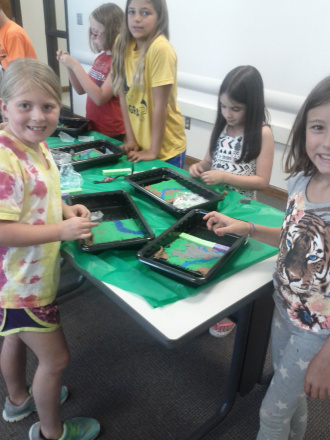 The SFCG has also partnered with the South Fayette Library to provide in-depth summer science and weekend workshop programs to area students. In our popular Jr. Conservation program, participants engage in multi-sensory activities to help us to understand our local geology and the phenomena that influence our watersheds and the dynamics of our environment. 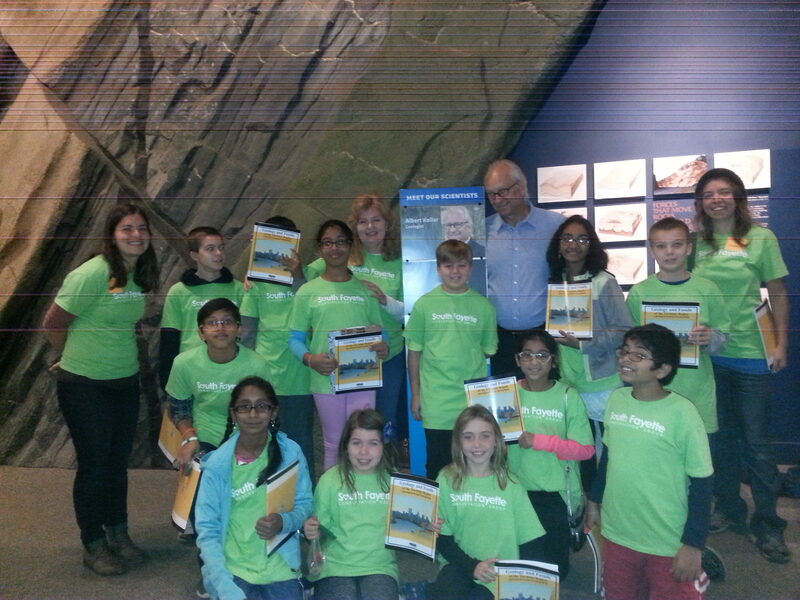 We also provide field trip experiences as part of the program, intended to introduce students to real environmental professionals and to show us real life examples of the work that environmentalists, engineers and natural scientists do. 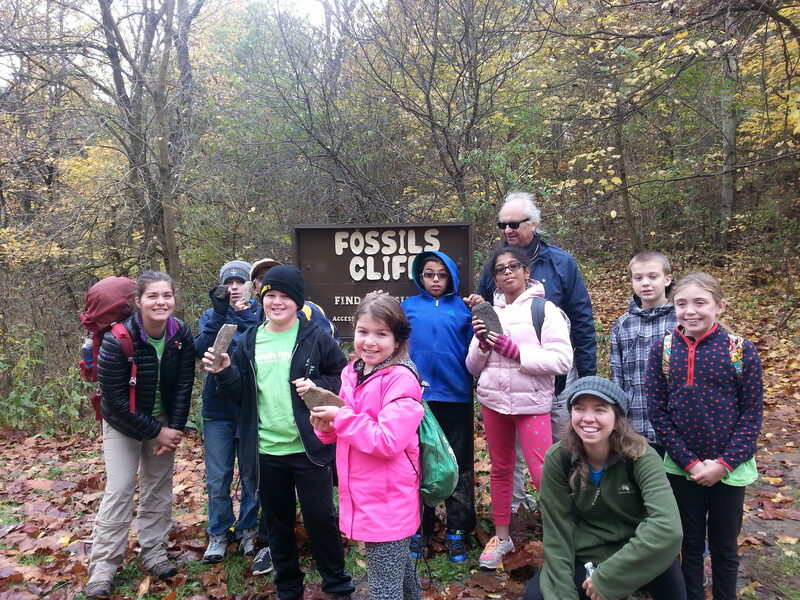 Jr Conservation students visit Fossils Cliff, one of Pennsylvania’s premiere fossil hunting sites to carefully extract and identify fossils in fossil-bearing strata exactly as paleontologists do every day. We take trips to the lab of geologist Albert Kollar at the Carnegie Museum and had a private behind-the-scenes tour of the fully-equipped paleontological research laboratory and specimen collection at the museum. We also guide a tour of a remediated multi-pond wetland, the Wingfield Pines Passive Abandoned Mine Drainage Remediation Site. Wingfield Pines, a 25-acre abandoned mine drainage remediation site that mitigates 43 tons of iron oxides flowing into Chartiers Creek (pictured above). 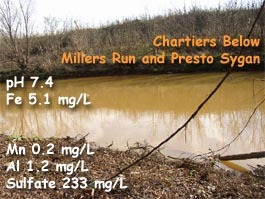 Completed in 2009, the system operates by gravity and treats iron-laden mine discharge that is running at 1,500 gallons per minute across the property before it enters Chartiers Creek. The Fishing Run Stream Sealing Project is an extension of our previous Fishing Run Restoration/Maude Mine Reclamation Project as well as our Gladden Discharge Passive Treatment System Design Project.While designing the Gladden treatment system, it was noted that the water flow rate at the discharge site was higher than expected post the original Fishing Run Restoration Project. The SFCG in conjunction with Pa DEP BAMR, investigated areas of the Fishing Run stream channel above the original project site and observed surface flow loss. 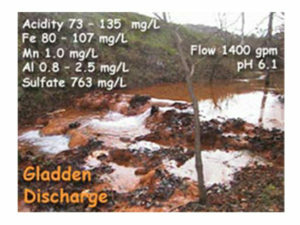 Flow loss was also noted in an unnamed tributary in a nearby valley.Geotechnical investigative work should explain whether the water is disappearing into the mine spoil or whether its entering into underground mine structures. By determining the cause of the flow loss, we will be able to implement the best solution to restore the flow to the surface. 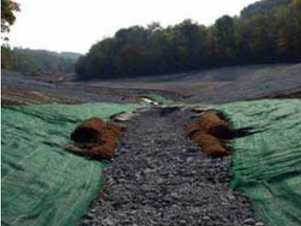 Currently, we plan on restoring approximately 5500 feet of stream channel using Fabriform Liners. Restoring the water flow to the surface in these stream areas will further reduce the flow and the amount of contaminants at the Gladden Discharge bringing the SFCG one step closer to its ultimate goal of full remediation of the Gladden Discharge which continues to be the primary pollutant of Millers Runs and the Lower Chartiers Creek Watershed. Permitting documents have been submitted and additional funding has been secured. 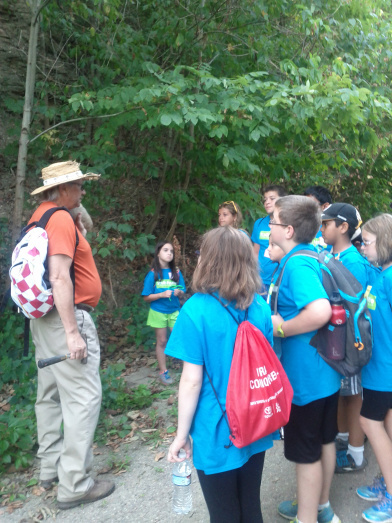 Volunteers walked the three largest streams located within South Fayette Township collecting data. Data collected included identification of environmental issues, including areas of stream bank erosion, excess sedimentation, Abandoned Mine Discharges (AMD) and impaired watercourse segments.The data collected was compiled into a comprehensive report which will be utilized to identify strategies to preserve and protect the existing natural resources in the township as well as identify areas that require varying levels of remediation to restore these resources to their natural condition. 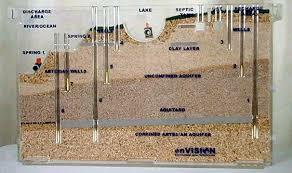 The data will also be used to develop storm water best management practices within the township. The SFCG in conjunction with SF Township Public Works, the Western Pennsylvania Conservancy and community volunteers installed eight structures in the clean waters of Millers Run upstream of the Gladden Discharge with $10,000 in funding from the Allegheny County Conservation District’s Clean Water Fund.In addition to creating fish habitats, the structures also provide great stream bank erosion relief.Logs were precisely placed to direct the flow away from the stream bank. Root wads were also sometimes used to create deflectors. 18 Hemlock trees and 5 root wads were used in the completion of 8 structures for this project. Rebar and stone secured the logs in place. Approximately 120 tons of rock were used over the 3 days that it took to construct the deflectors. Finally, land disturbed by the construction is properly restored and seeded. The reclamation project included restoration of a number of priority abandoned mine land features including an open mine portal, 1,500 feet of dangerous highwall, and several abandoned and deteriorated coal preparation plant and coal load-out structures. 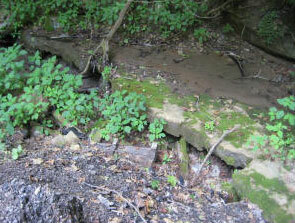 With the support of the PA Department of Environmental Protection, the South Fayette Conservation Group has removed all of the remaining coal mining structures, relocated 1.2 miles of a nearby stream which greatly reduced acid mine drainage into the local watershed, eliminated dangerous highwalls, and buried exposed mine portals.Preliminary post-construction data shows a 30% reduction of pollution entering Millers Run. 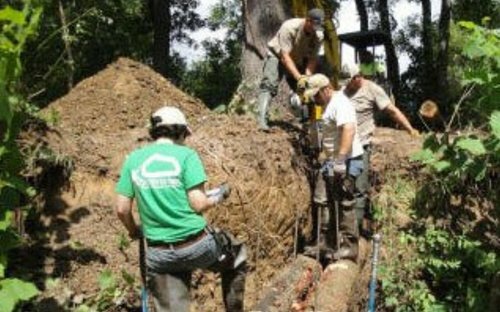 Final work on the project included planting 4,000 bare root plants along the restored stream channel. Thanks to the work of community volunteers, the Maude Mine project is a model for abandoned mine reclamation statewide.